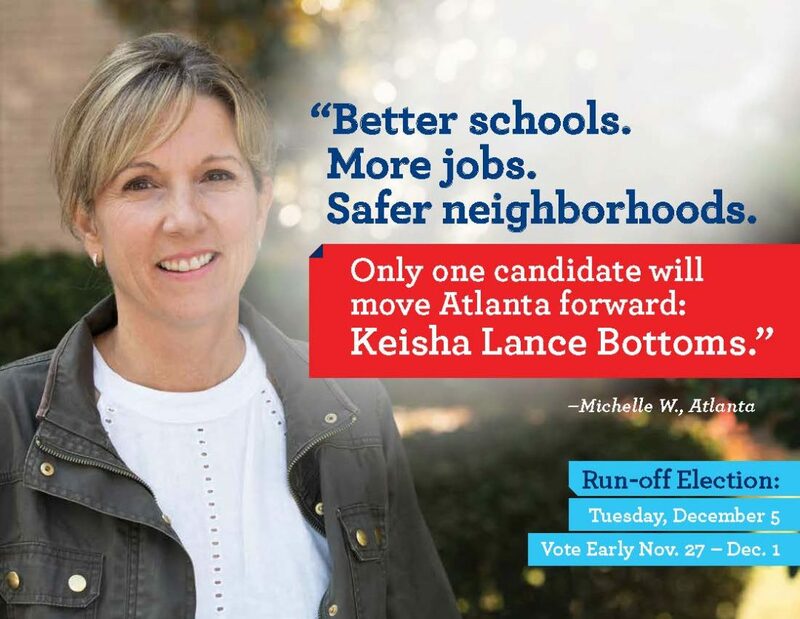 Keisha Lance Bottoms Strong finish to win the open Atlanta mayoral seat! 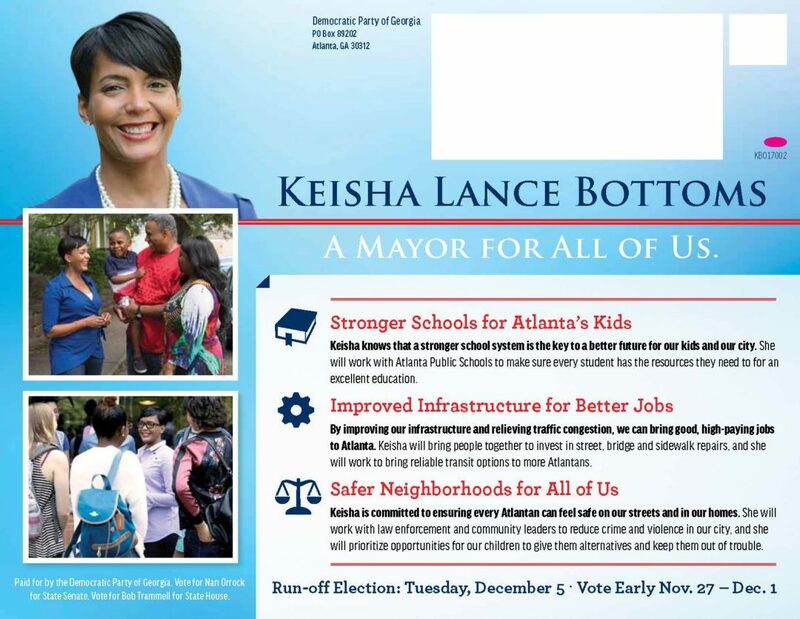 After emerging from a crowded general election to reach the December runoff, Keisha Lance Bottoms turned to Deliver Strategies to finish strong and win the open mayoral seat. 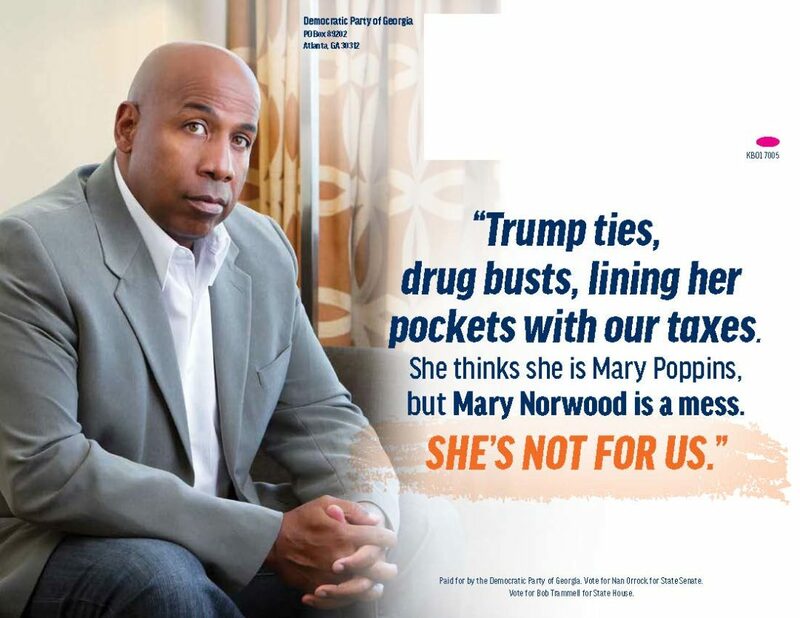 Despite finishing first in the general, Bottoms was lagging behind her opponent, Mary Norwood, in internal polling. 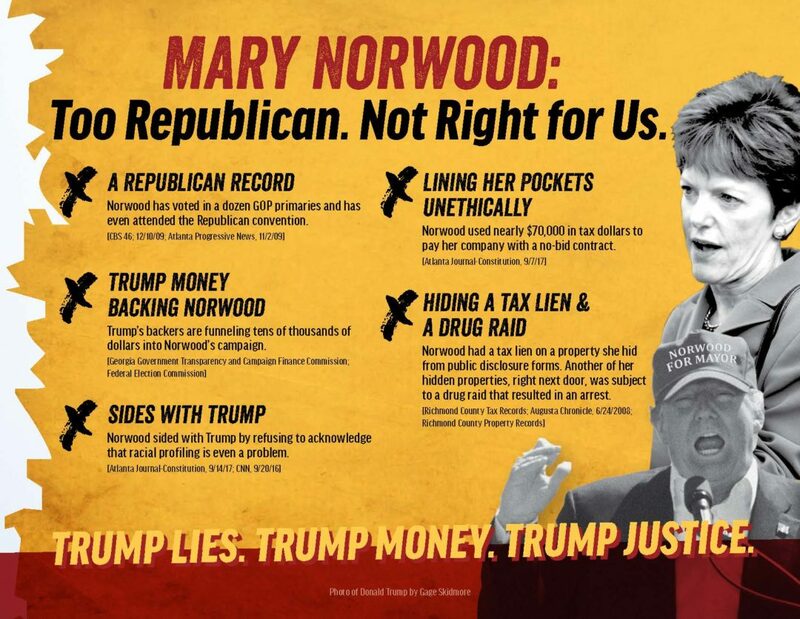 Dealing with tight timelines and a compressed schedule, Deliver designed a tight, quick-hitting mail plan that boosted Bottoms’ Democratic credentials to her base while reminding those same voters of Norwood’s Republican past and Trump-supporting tendencies. 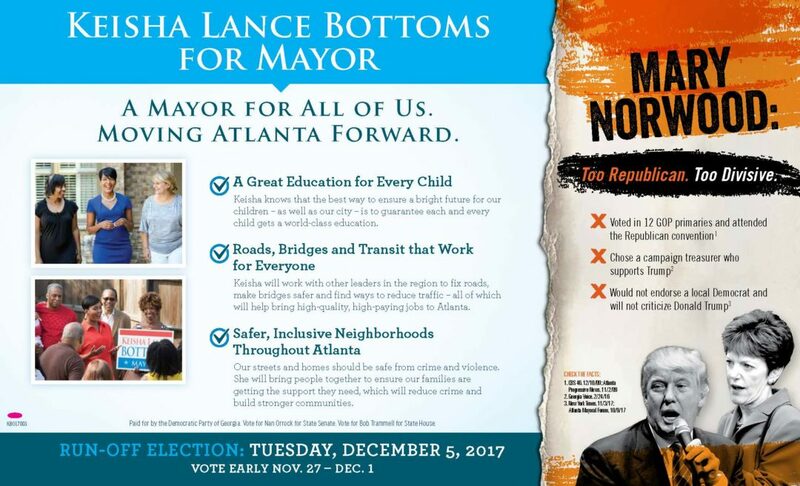 Bottoms won the race in the runoff, edging out Norwood by less than 1,000 votes out of more than 92,000 cast.